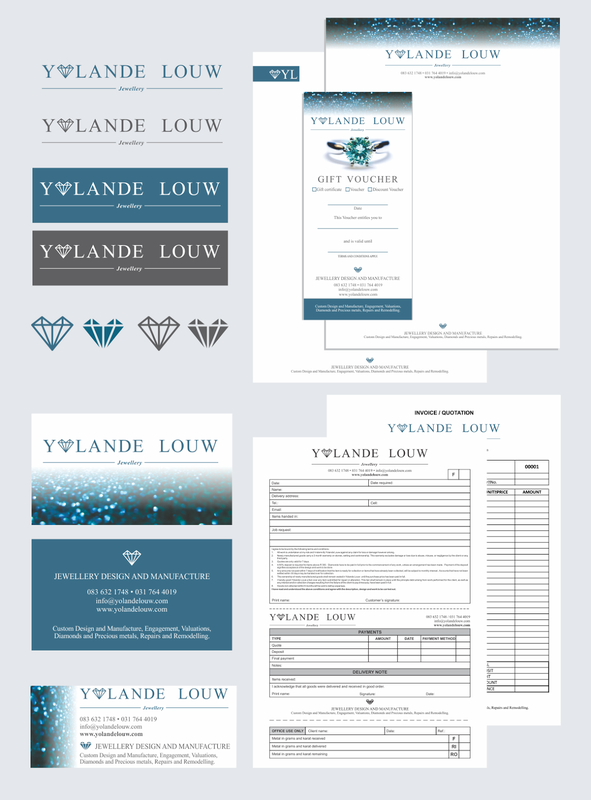 This week we're sharing recently wrapped-up branding project for Yolande Louw Jewellery. Yolande already had a logo created by another designer but hadn't been supplied with any files she could use - or any branding, so she paid us a visit and we sorted out all that for her including design of: a double-sided business card, letterhead with continuation sheet, editable pdf voucher, email signature, invoice/quotation form with calculation formulas, and a job order form. She wanted some sort of 'wow' factor in her stationery so we created her a sparkly background to match her branding. Here it all is!